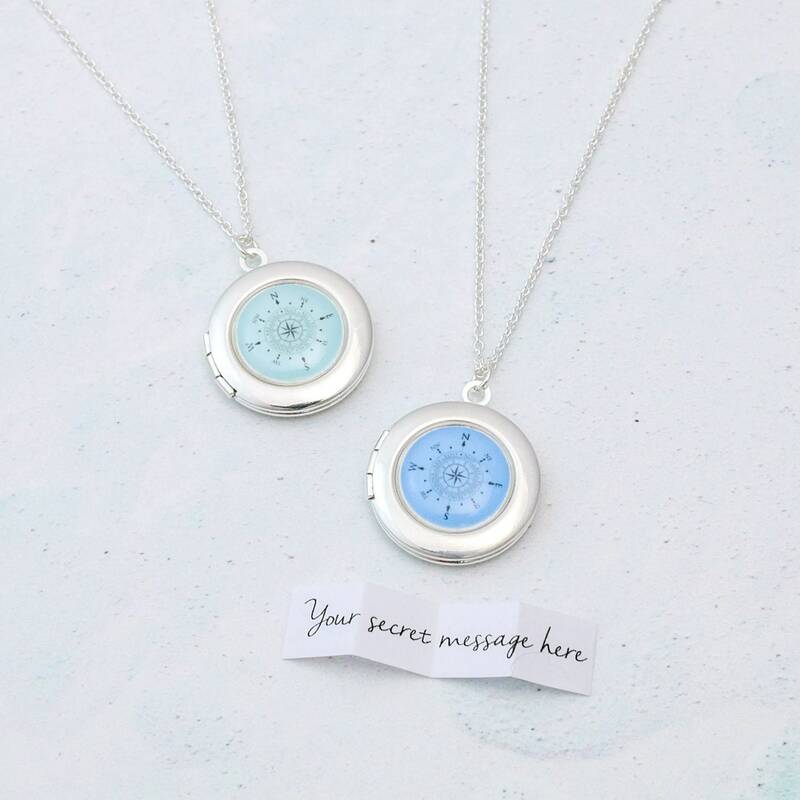 Personalised Compass Locket featuring an original illustration of a compass design in your choice of gemstone inspired colours. 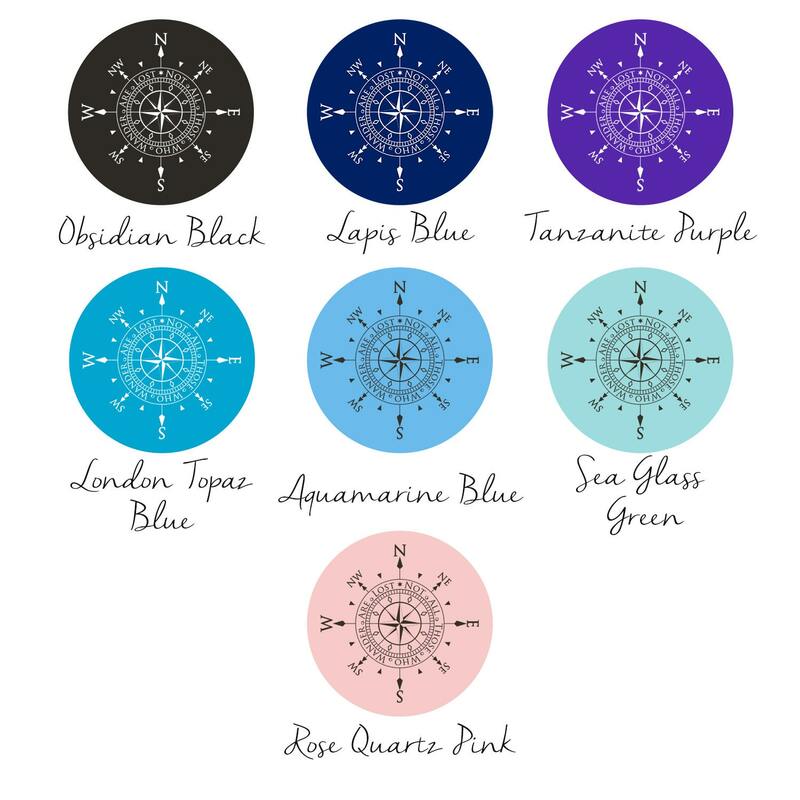 In the centre of the compass is a famous travel related quote by J.R.R Tolkien: "Not all those who wander are lost", making this the perfect gift for those who love to travel and go on adventures. Please note that this is not a functioning compass. 3. 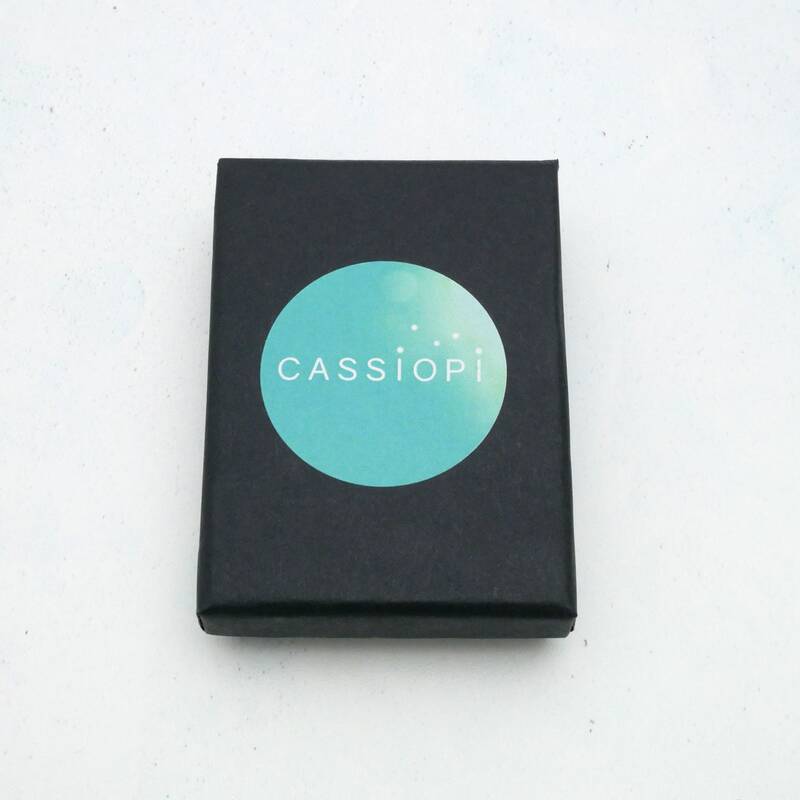 Once in the cart, if you would like a secret message, enter your message exactly how you would like it to be written in the box with the text that says "Add a note to CasssiopiCollection (optional)". The secret message character limit for the locket is 70 characters including spaces. 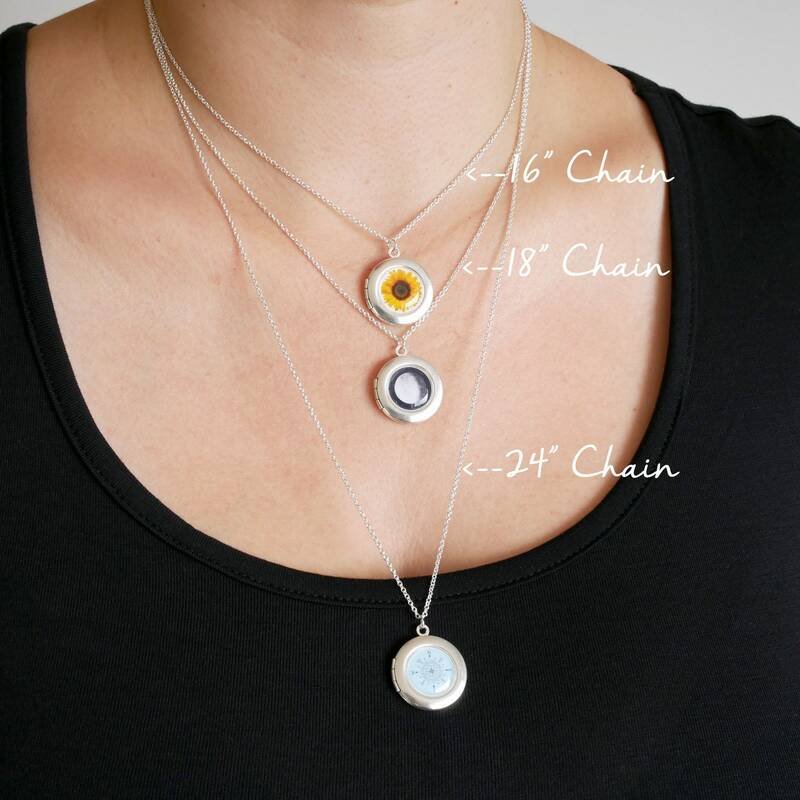 Your necklace will arrive in a gorgeous eco-friendly gift box ready for gifting. 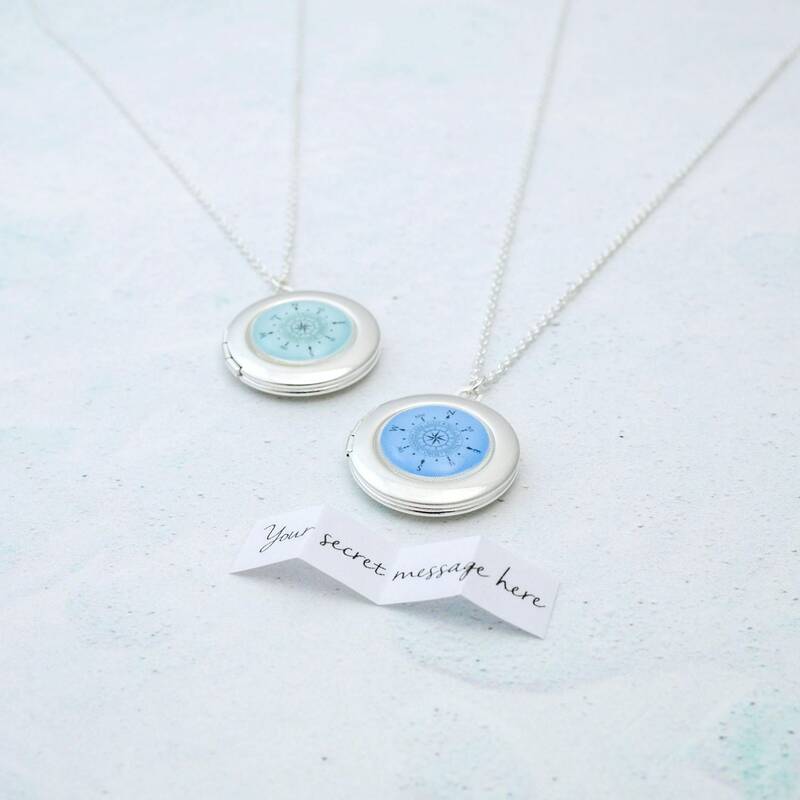 The locket is fine to be worn in the rain, however it is not waterproof so please don't wear it whilst showering, bathing or swimming. 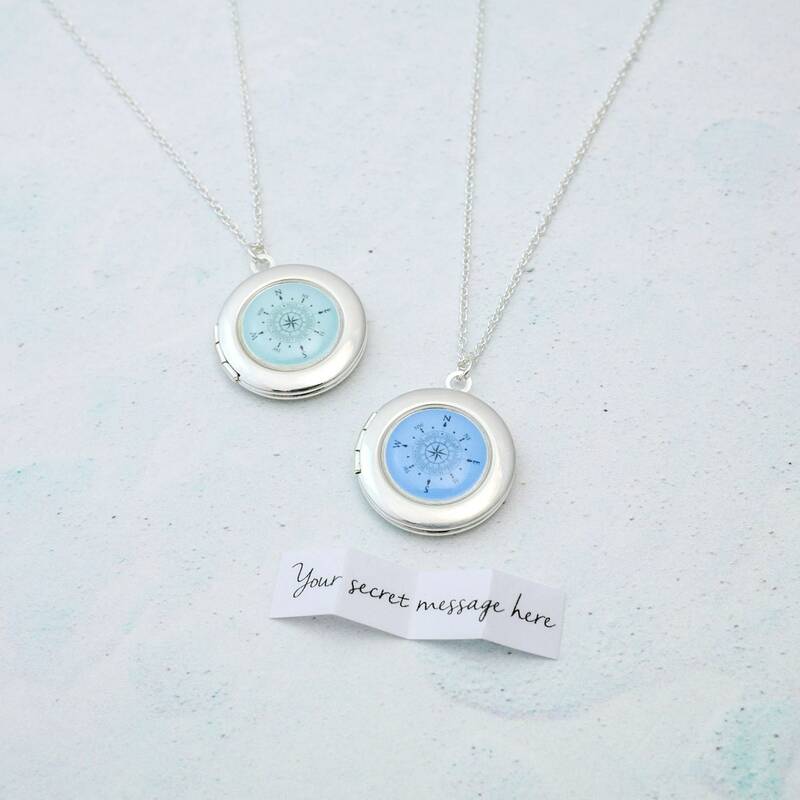 To keep your locket shiny and tarnish free, store it in the small ziplock bag that comes with your piece to keep it nice and airtight. A silver polishing cloth is perfect for cleaning the locket and the chain. 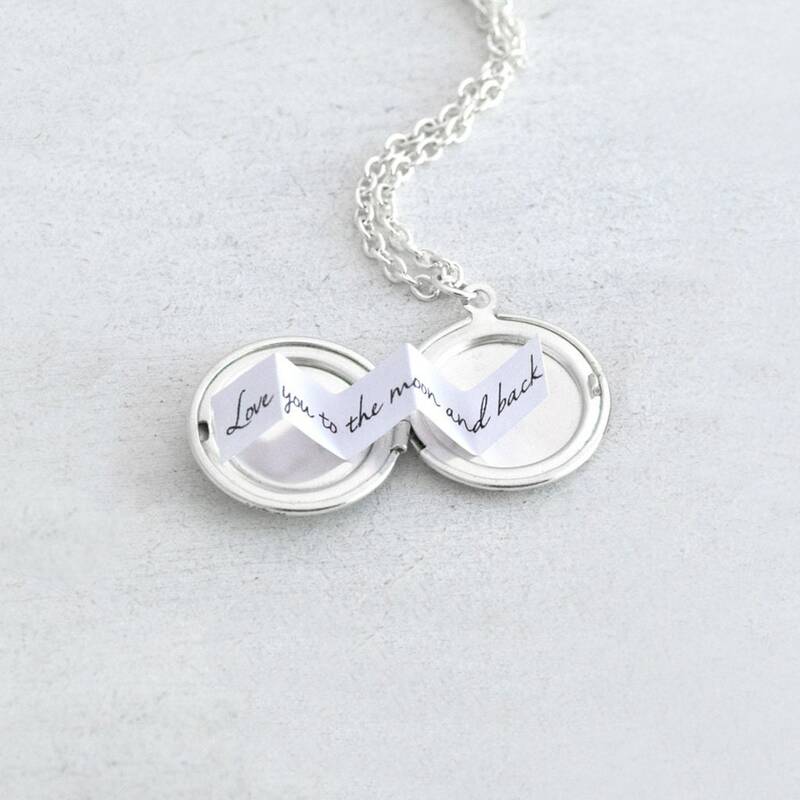 I bought this necklace for my mum and she loves it so much! It is a high quality piece and very pretty. I have pretty much worn this necklace everyday since I bought it. It is really quite beautiful! Just beautiful. The color and quality are just what we hoped for.